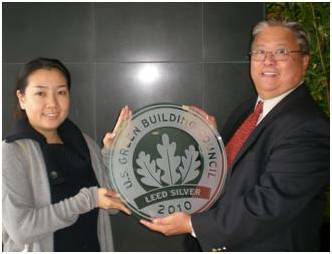 Kaori and Mike holds LEED Silver plaque awarded to Miyako Hybrid Hotel in Torrance, CA. MOA worked on this project since 2006. MOA's Designer, Kaori Hamada Featured! 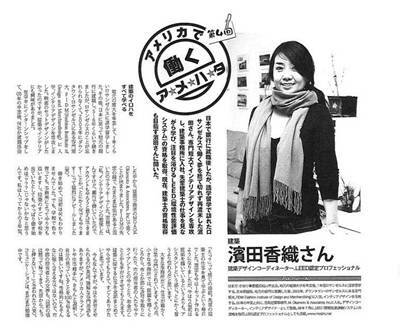 Kaori was interviewed by a Japanese magazine; Along with being an interior designer, her career as an accredited green building professional (LEED AP) expands her horizon. She looks back to her days as a bank clerk and her pursuit to be an interior designer, which all started here in Los Angeles. 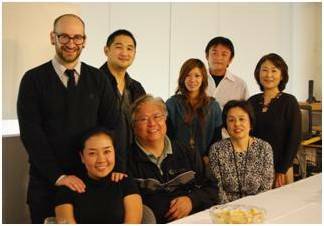 Former Shimizu Colleagues joins the celebration! Since Mike’s arrival to Los Angles in 1981, he is blessed with all the colleagues who worked with him. He feels his nearly 30 years of career couldn’t have been possible without their support and friendship. Now that MOA is turning 10 years old, Mike wanted to thank his colleagues and refresh the friendship. Representing over 80 organizations in Little Tokyo and Downtown Los Angeles, LTCC’s Parking Committee initiates area’s parking study. 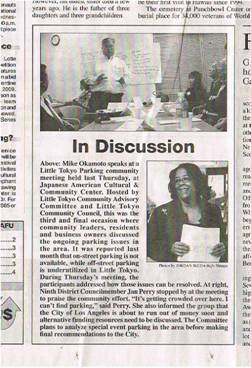 Mike as the committee chair organizes community meetings to work closely with the city and its consultants. Impressed by students’ passion to learn about Japan from history, culture and social issues. Mike Okamoto assumes chair roles at Membership Committee, History Committee and IT Committee. Area Magazine features Mike Okamoto in its "Shigoto Nin (Task Undertaker)" series. The article described Mike Okamoto's task undertaking goal as "to serve the future generations," thus explains why he pursues "green buildings." Sorry, the article is in Japanese. 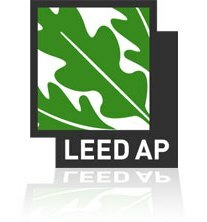 LEED™ (Leaders in Energy and Environmental Design) is the green buiding evaluation system set forth by US Green Building Council. 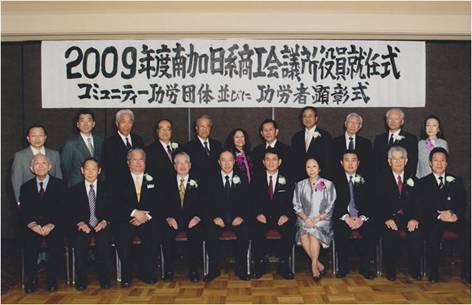 Kaori's achievement was the second in MOA following Mike Okamoto and will contribute in expanding green building consulting. Little Tokyo Community Council is the community organization to link over 80 organizations in Little Tokyo and Downtown Los Angeles. It has voiced the community concerns to City, State and Federal as well as preserving the community's culture and protecting the community interest. 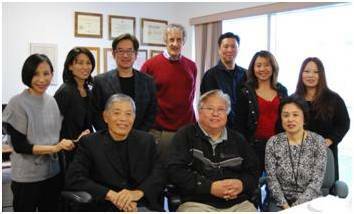 Mike Okamoto has represented Asian American Architects and Engineers Association to the council for years. 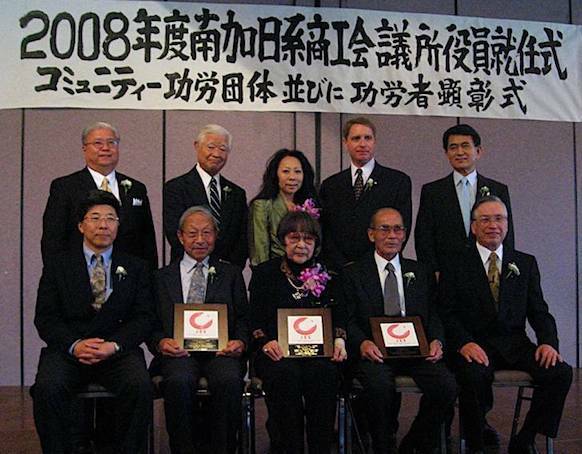 Japanese Chamber Of Commerce of Southern California (JCC) was founded in 1949, serving the Japanese and Japanese American communities in Southern California. Mike Okamoto has been promoted to the Senior Vice President after the successful year of serving as the Membership Committee Chair. He will continue his endeavor to boost membership and intends to streamline its website as the IT Committee Chair as well. 2 Years in Planning! "Nebuta" parade generated 20,000 spectators in Little Tokyo! MOA selected as the production leader for this historical endeavor of bringing Japan's monstrous float "Nebuta." 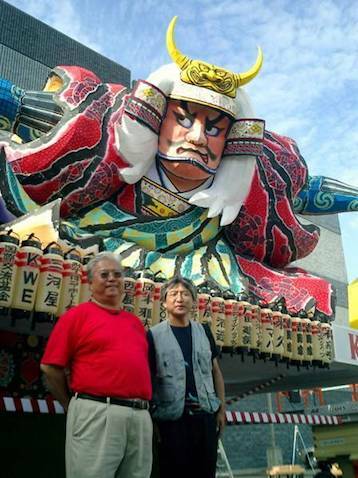 first time to Mainland U.S.A.
Mike Okamoto has been appointed as the production chief for Nebuta Float making. 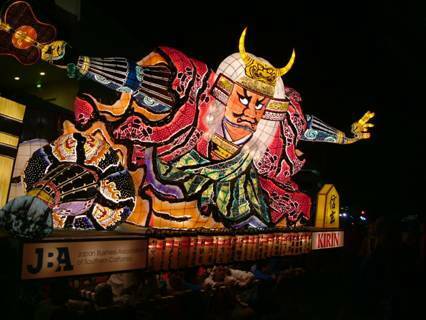 30' x 25'x 20' high monstrous paper lantern was crafted by Nebuta Master Takenami and his team. It was carefully split into nine pieces and shipped to Los Angeles. In the meantime, Mike Okamoto made two visits to Aomori to design the base float for Nebuta along with other accessory floats. Mike Okamoto states "Our community needed this excitement and unity!" Japan Business Association visits Governor! 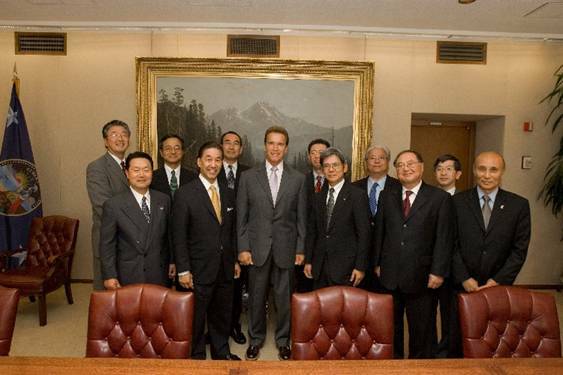 Mike Okamoto joined the Japan Business Association for its annual Sacramento Trip. This year, along with most of leaders in California legislature, Governor Arnold Schwarzenegger greeted the team in his room. Mike Okamoto has been elected to serve on the Board of Directors, and was appointed as a Vice President at this year's member general meeting. Dating back to the years after WWII, the JCC has provided relief to disaster victims and has worked to improve the lives of the less fortunate in the community. JCC's support network and business communications have been helping numerous local and international businesses. 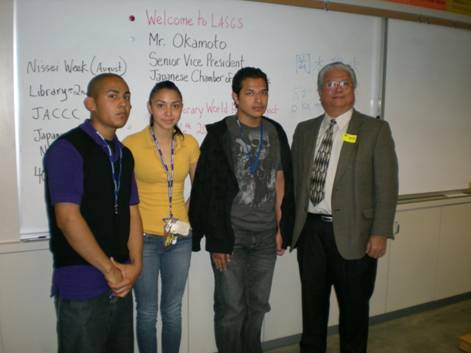 Mike Okamoto states "Our community involvement will help us deepen our roots into the ground. Our business network should stem out from such local soil." 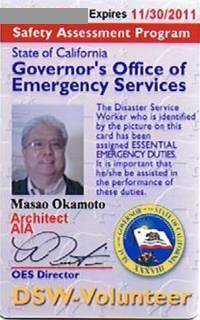 Mike Okamoto was certified as Disaster Service Worker under Safety Assessment Program. Under emergency conditions, certificate holders will assess the building safety and advise the governing agencies to decide the limit of public access. 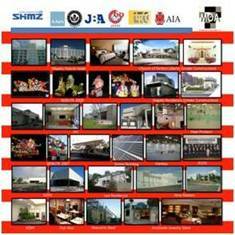 American Institute of Architects sponsored such training programs. The certificate holders will register their names to Governor's Office of Emergency Services as well as local governing agencies. MOA's Designer, Junko Wakimoto Featured! Junko was interviewed by a Japanese magazine; Her endeavor in pursuing her dream to be an interior designer started here in Los Angeles. 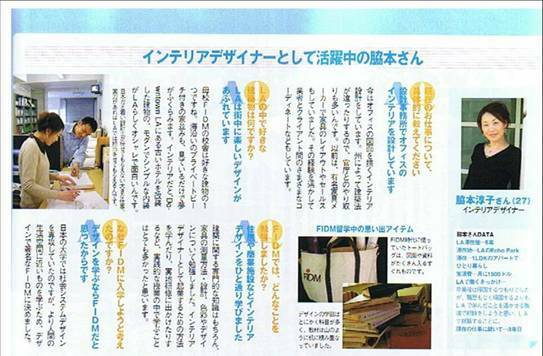 Junko Wakimoto was interviewed by Japanese magazine; Many students are studying abroad to pursue their dreams. Junko's dream was to be an interior designer! Now in MOA Junko has started her pursuit. "I wish MOA could provide opportunities for such challenging designers and hope Junko's article will inspire such people." quoted Mike Okamoto. 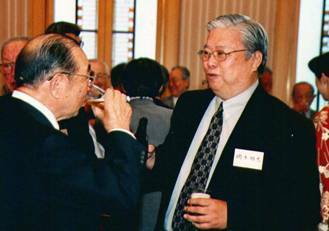 Analyzed Japan's "Structural Calculation Fraud"
Mike Okamoto was interviewed by local magazine; sought comments on "structural calculation fraud" rattling Japanese construction industries. 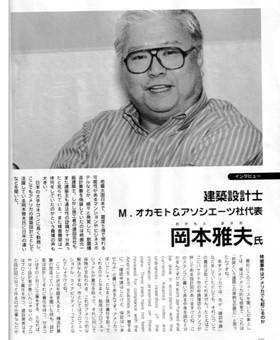 Mike Okamoto was interviewed by local magazine; sought comments on "structural calculation fraud" rattling Japanese construction industries. He explained about tight licensing requirements in US and professional ethics. Mike Okamoto has been selected to serve on the Board of Directors at its October voting. Mike has been a member of the association over ten years. 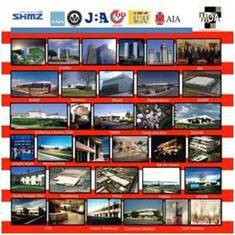 The Asian American Architect's/Engineer's Association is the 28 year old organization serving the AEC Community in Southern California. Its Board of Directors is represented by the top design, engineering, development and construction firms' professionals in the nation. 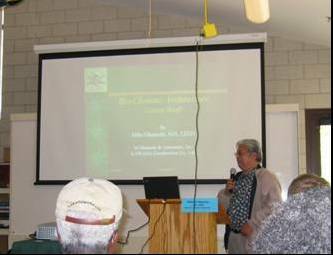 Mike Okamoto was selected as the speaker for Green Roof program during Earth Day event held at Audubon Center in Los Angeles. "Green in City" to "City in Green" was the message delivered introducing some of Green Technologies developed in Japan. About 1000 participants attended this program. Phone: 626 943-8800, Fax: 626 943-8883. Saying "Good bye" to good old South Pasadena, where we started in 2000, we will have our 5th Anniversary in our new home in Alhambra! Please note that our phone and fax numbers have been changed also. MOA orchestrated the move as design and project consultant from property finding to the construction. The city council presented a proclamation to welcome Hankyu on the Grand Opening Day. 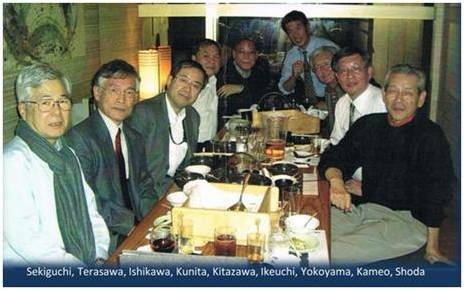 Annual meeting of Shimizu Veterans was held in Tokyo in April 2004. Celebrating the 200th year of its corporate history, veterans met with the current executives to discuss the company's prospects. 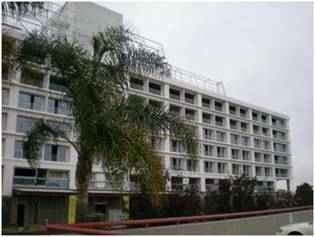 Completed its plant construction in Ontario California. MOA played a vital role in the project from property finding to the construction. Through years of collaboration with the construction team, MOA delivered this challenging project to the satisfaction of the client. Mike Okamoto has been accredited as a qualified LEED™ Professional by US Green Building Council. LEED TM is a building certification program awarding construction projects for its sustainability and energy efficiency. 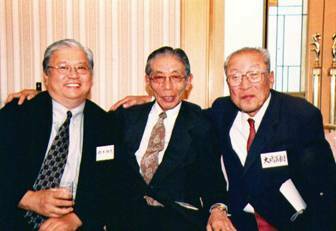 MOA's years of efforts to support Japanese corporations to establish their operations in Southern California are enforced by this alliance! Japanese Business Association of Southern California (JBA) to form a strategic alliance with Los Angeles Economic Development Corporation (LAEDC). "Iron Chef" cooking battles at Paris Miki! Paris Miki, Japanese optometry mega store, opens in California. After MOA designed and coordinated with EDC, the mayor of Torrance battled with the renowned Iron Chef as its grand opening event.